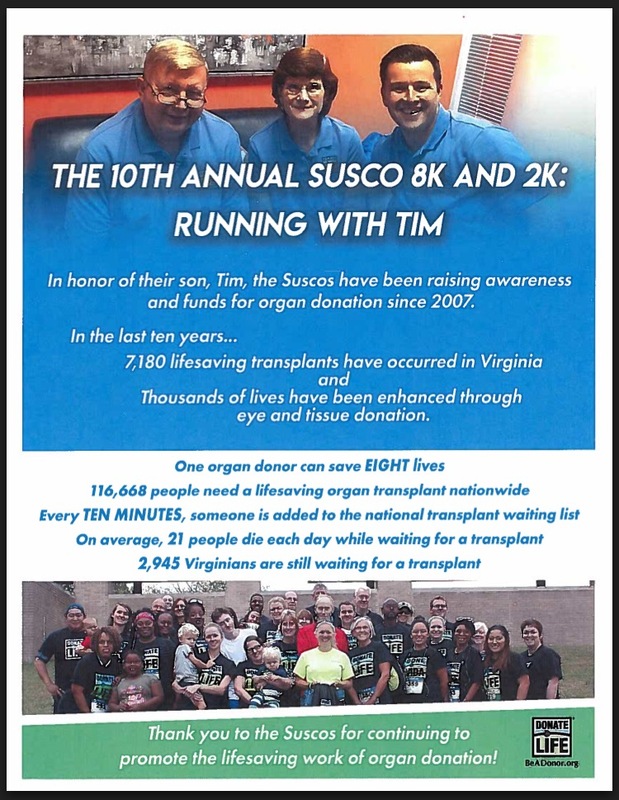 The 12th Annual Susco 8K and 2K: Running With Tim will be held on Saturday, September 21st!! Online registration is NOW OPEN through our race partner Potomac River Running - click HERE to register! Register now to lock in the Early Bird pricing!! If you prefer to register by mail, paper registration will be open soon. Please check back for additional information. 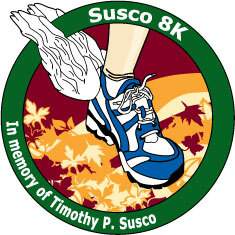 Even though this year's race is still a few months away, there is a lot of work that goes into planning the Susco 8K. If you or your company are interested in becoming a sponsor, click HERE for sponsor information. Or, if you want to donate, there's always time to help out! Click HERE to make a donation to help support brain aneurysm research and organ donation awareness! Can't join us this year? Or just want to help out a little more? Please consider making a donation. Donations can be made year-round to support the race. Race proceeds support brain aneurysm research and organ donation awareness programs. Donation information is available BELOW or click HERE to donate. Don't forget to use the #SUSCO8K!